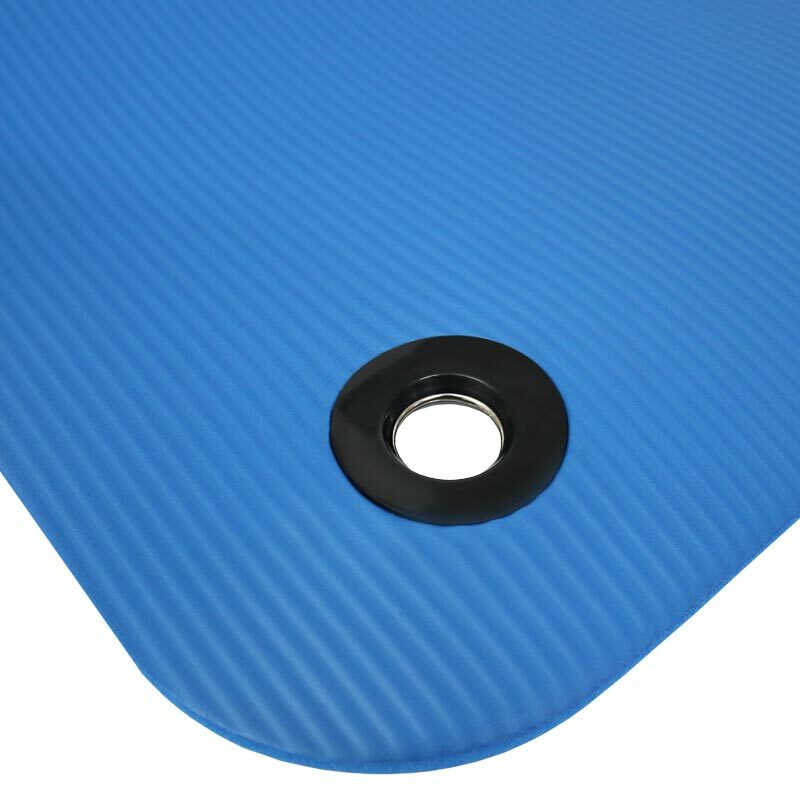 The Beemat ® Premium Thick Exercise Mat with Eyelets Blue is great for floor exercises such as pilates, yoga, fitness classes and physiotherapy work. Thickness of 1.5cm (0.6") adds shock absorption for stability when landing, comes with straps for easy transport. Non slip surface on the bottom of the mat. 1.8m x 0.61m x 15mm - 5'11" x 2' x 1", 1.28kg. 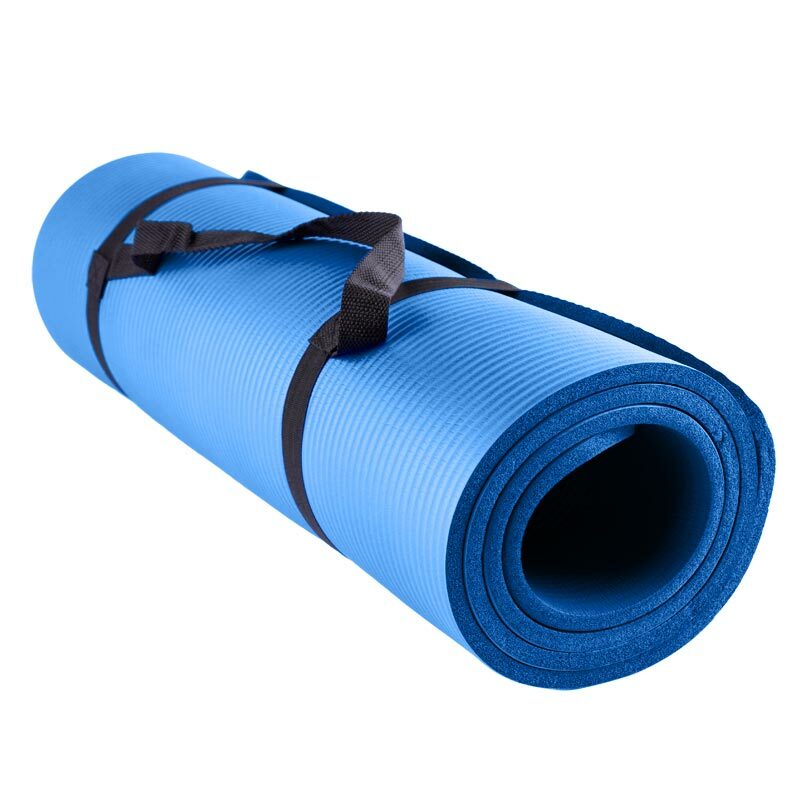 Great product, very fair price, extra thick mat is very comfortable really pleased with my purchase. A Beemat of good quality. The material is light, but offers very good protection for your body against hard surfaces, feels soft, yet sturdy. Good quality thick mat pleased . I bought this because it's a bit thicker and larger in area than most and I am very pleased with it. Very impressed with my Beemat Premium Thick Exercise Mat. Cannot find better anywhere esle and believe me did I look. Cannot fault service and delivery very quick. Would definitely recommend - First Class. 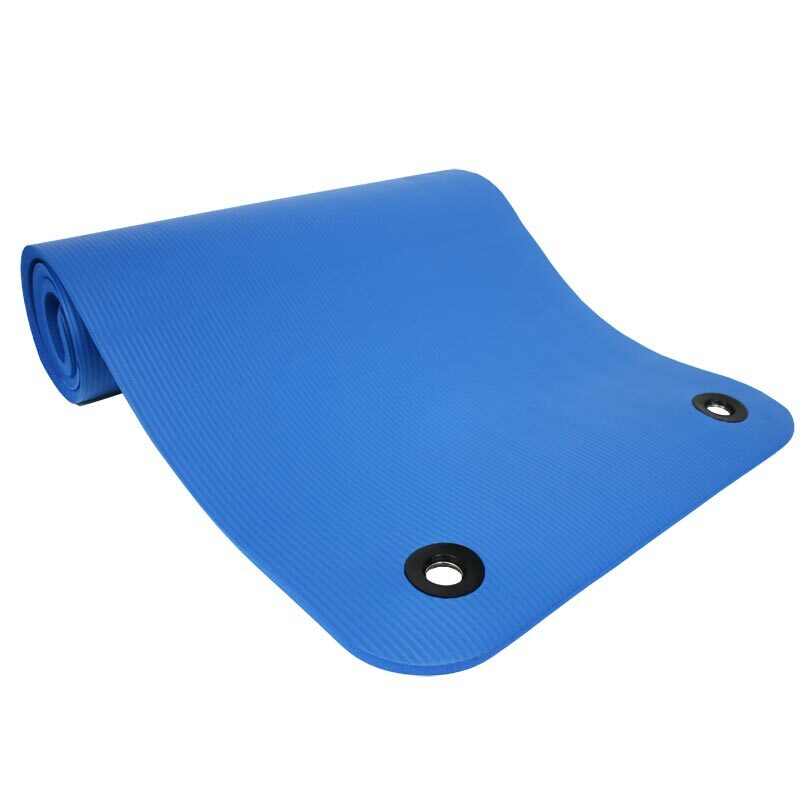 Exactly what I was looking for-ideal for floor exercises on wooden floors as it is a really thick padded mat compared to many others available. Would definitely recommend. Arrived promptly after ordering.